The School of Health and Social Work is committed to recognising and addressing gender equality across academia for all students and staff. We have held an Athena SWAN Bronze award since April 2015, which acknowledges our commitment to gender equality. Athena SWAN was established to encourage and recognise commitment to advancing the careers of women in science, technology, engineering, maths and medicine (STEMM) employment in higher education and research. In 2015 this was expanded to include other fields and work undertaken to address gender equality more broadly. Visit the Athena SWAN website for more information. Karen is the head of the School’s Equality, Wellbeing and Inclusivity Committee, which is preparing our Athena SWAN Silver submission. View Professor Beetons staff profile. Ensuring the Athena SWAN charter principles are embedded within the School and University presents many challenges and requires the commitment of all; I look forward to leading on that work in the School of Health and Social Work with Hubert. I took up my post at the University of Hertfordshire in March 2017. I had previously worked in the School of Health Sciences at the University of Nottingham where, amongst other roles, I was a member of the Athena SWAN SAT team. As such, I am familiar with the Athena SWAN agenda and I bring that experience and knowledge with me into job-sharing the Champion role. My background contributes to a strong commitment to equality and diversity. I’m from a rural working class background and it wasn’t common for girls from my background to go on to further education. I worked for two years before deciding I would do a degree and I was the first member in my immediate family to do so. I went to Trent Polytechnic (now Nottingham Trent University). I then stayed in Nottingham and for the next 10 years or so worked in the voluntary and statutory sectors in homelessness, welfare rights, domestic violence and community development. During this time I did a part time MA in Women’s Studies (University of Bradford) and that whet my appetite to study further and do a PhD. I had no idea how I might manage that but a few years later a combination of factors led me down that route. Since completing my PhD I have worked in academia – taking a research only career pathway (although not planned as such). I am a family sociologist and my research interests broadly address family lives, health and well-being across the life-course. For the past 10 years I felt very fortunate to have a post funded through a Family Trust donation made to the University of Nottingham to set up a research centre into palliative and end of life care. It is rare to have such long term funding as a Research Fellow and in those ten years I progressed to Senior and then Principal Research Fellow. I’m very committed to supporting and mentoring early career researchers. My daughter was one when I started my PhD so my academic career has spanned her lifetime (she is now 20). She was diagnosed with Chronic Fatigue Syndrome when she was 15. That’s had a big impact on her life and - as her only parent - on my life too. Having a work/life balance can some times sound a bit clichéd but it is incredibly important to me. I consider raising my daughter to become the young woman she is, to be my biggest achievement. That said, my work is also important – and my daughter is incredibly proud of her mum becoming a Prof! What has enabled me to overcome my limitations and be fulfilled, apart from people being kind and supportive, is education. Education should be accessible to all. I have felt strongly about gender issues for many years. I object to suggestions that gender determines what people can achieve in life, as much as I resist certain expectations based on little more than that I am a man. I hope to make a positive contribution to gender equality at UH. I am employed at UH as a postgraduate lecturer at the School for Health and Social Work. My main interest is persistent pain, and how we can empower both patients and clinicians to deal with this. My clinical training is in physiotherapy as well as Chinese acupuncture, and I have an MSc in Pain. In my PhD I investigated persistent post-surgical pain, with a focus on healthcare needs for long-term pain after caesarean section. When I don’t work at UH I teach acupuncture courses, work on publications, and practise pain management and acupuncture. I live with my wife and cats (gender balanced). I continue to practise pain management, physiotherapy and acupuncture. I also teach acupuncture courses. In 2014, the School of Health and Social Work set up a Self-Assessment Team (SAT) and successfully applied for the Bronze Award. The team is currently preparing for the Athena SWAN Silver Award, which requires that the School demonstrates that it has acted on its Bronze action plan and addresses wider equality issues. To reflect this, the team has been renamed the Equality, Wellbeing and Diversity Committee (EWIC). Advance the broadened Athena SWAN agenda in their School in accordance with the Athena SWAN Charter and Principles. 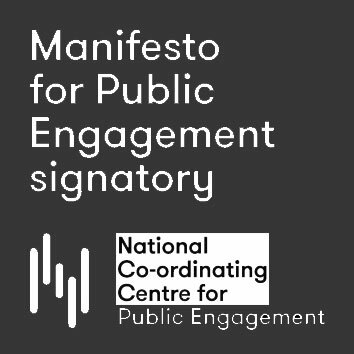 Develop and implement action plans and submissions (at appropriate levels, e.g. Bronze, Silver) for Athena SWAN.  Consider issues of intersectionality through collaboration with the Race Equality Charter Champion and Student Performance Monitoring Group through discussion of the BME Success Project and Race Equality Charter. Share information and good practice with other University stakeholders. Raise the profile of equality, diversity and inclusion both within the School and externally through the championing of equality. Work with the Athena SWAN and Race Equality Charter institutional teams in the delivery and operationalisation of equality strategy. The team has met regularly since April 2014 and has conducted focus groups as well as questionnaire consultations with staff and students from across the School to explore issues relating to career transitions and development, flexible working, visiting/casual contracts and other related issues that may help or hinder work or study in the School. The team includes members of academic, professional and technical staff from across job grades It includes an Athena SWAN officer, an HR representative and the School’s two Athena SWAN champions. If you have any questions or would like to find out more about Athena SWAN in the School of Health and Social Work, you can contact your department liaison or email the School’s Athena SWAN champions at hswathenaswan@herts.ac.uk. Students and staff are welcome to get in touch. As a consequence of Athena SWAN work, staff from the School of Health and Social Work and the School of Life and Medical Sciences have collaborated to form the Menopause Network (PDF - 0.45 Mb). This network offers the opportunity to share ideas and connect with others. It also organises events to support women through the menopause. There are also University support networks open to all staff including the Carer Network, the Working Parents Network and the Women in STEMM Network. Unconscious Bias training - this training is now mandatory for all new staff. The training allows participants to consider and recognise their own bias and have a greater awareness of others'. Clear and transparent processes for appraisal - being piloted. There are also a number of University-wide initiatives. Read about Athena SWAN support for students and staff across the University of Hertfordshire. Since being awarded an Athena SWAN Bronze award, staff across the School of Health and Social Work have organised a number of new Athena SWAN initiatives and events, open to all members of staff and students. HSK was the first University of Hertfordshire School to establish a Menopause Network, which has now been adopted across University. The network was launched in September 2016. The Menopause Network provides staff a space to share ideas and solutions for coping with the menopause as well as providing support for women in HSK and LMS. An event for World Menopause Day A session facilitated by Norma Goldman. Norma runs sessions which give practical and easily understood information, to enable women to make informed decisions about how to cope with the menopause and to ask questions, if they wish to do so. Q&A session with Diane Danzebrink Diane is a member of, and an ambassador for, the British Menopause Society. Sleep related problems can be an issue for some women going through the menopause. Diane is trained in Yoga Nidra which is a guided meditation technique that can reduce stress and anxiety and promote more restful sleep. Aromatherapy and Mediation for the Menopause A session with yoga teacher Jeni Howland who shared key ways essential oils and meditation techniques can help combat common issues of the menopause. Understanding the Menopause A workshop (including lunch) led by Norma Goldman followed by a focus group to learn more about women’s views on how the menopause represents a challenge in the workplace. Staff are involved in producing posters to raise awareness of equality issues around the School. Together with the newsletter produced each semester, these materials maintain awareness of issues relevant to the Athena SWAN agenda. Department Liaison Officers work with us to ensure posters and the newsletter are placed where people can see them and put up new information when sent out. Unconscious Bias training was made mandatory in 2017 for all staff in the School of Health and Social Work, because it is important for embedding equality in our work. The School has organised a range of talks to support the Athena SWAN initiatives. Going For Silver Designed as a 'drop in' session to consult the School of Health and Social Work on our Athena SWAN Application. Public Health Master Class on Domestic Violence Co-hosted with Herts County Council, the session offered information on different aspects of domestic violence in terms of research, policy and practice. Trans awareness training Led by GIRES and co-hosted by the School of Health and Social Work and the School of Life and Medical Sciences. A highly interactive training session by an experienced facilitator. The training included presentations by the facilitators, exercises, case examples, video material and discussions. Participants were provided with literature, as well as guidance on further information sources. Celebrating International Women’s Day Lunchtime walk, cakes and refreshments. Donations of more than £40 were sent to our chosen charity of Womankind. Celebrating International Men’s Day This jamming session was open to all and included a staff/student football match. Workshop on Domestic Violence Domestic violence affects 1 in 4 women and 1 in 8 men in the UK, although women are more likely than men to experience it in severe and repeated forms. Prof Shulamit Ramon (Health and Social Work) and Dr Michele Lloyd (Education) outlined key issues and looked at the media representation of this issue. It became clear that neither the School nor the University has a policy or guidance for staff, managers or students relating to Domestic Violence. HR participated at the workshop and are now considering how best to take forward this important aspect of students and staff wellbeing. Workshop on job interview skills One barrier for staff putting themselves forward for vacant or new roles might be a fear of the interview process or lack of confidence to 'aim higher'. This workshop was held to improve confidence and interview skills. Work/Life Balance A coaching session. Trans Awareness workshop The workshops aim was to raise awareness of trans identities, explore the key terms and uses of language around gender and sexual orientation, offer insights into the legislation around rights and responsibilities in relation to trans identities. The Working Parents Network was launched May 2016. It provided an opportunity for working parents or prospective parents to join a friendly network where ideas and experiences can be shared around being a parent and working at the University. Both women and men are welcome to attend. to share good working parent practices. to support other working parents. Please email hswathenaswan@herts.ac.uk to get in touch with the School’s Athena SWAN champions. Follow our Twitter feed: @UHHSKathenaSWAN. View University-wide Athena SWAN activities and resources.